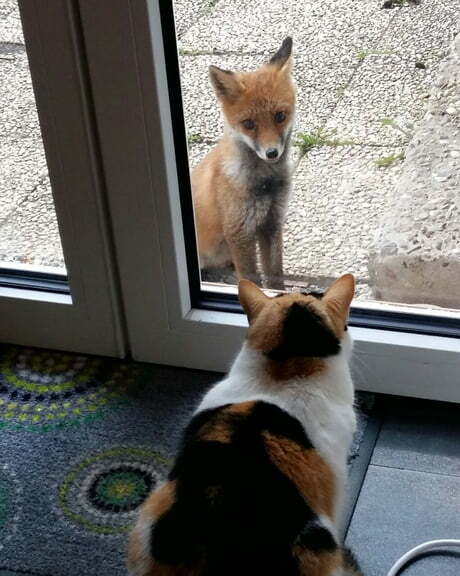 "The Stare Down" - © " My Life in a Nutshell "
Wow :O I never had a fox come up to the door and have a staring contest with any of my cats. That fox does look young though. The cat is almost as big as it.